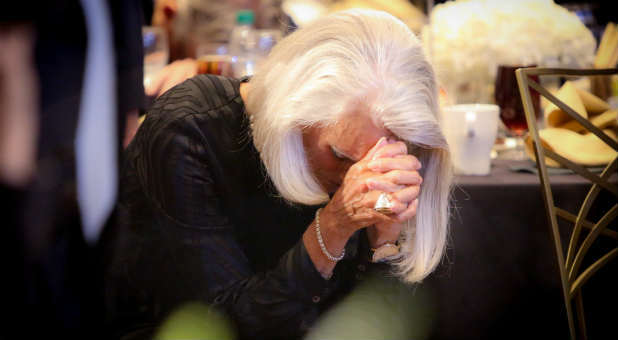 Daughter of late Billy Graham, Evangelist Anne Graham Lotz, has announced that because of her unexpected cancer results, she would be taking the next year off to receive treatment. Lotz who is also an author, in September stated that she was diagnosed with breast cancer and she would be undergoing surgery to remove the cancer cells. “All went well. Cancer seemed contained with none apparently in the lymph nodes.” Lotz said on Facebook after her surgery on September 18. Unfortunately, the evangelist learnt last Thursday, after she went in for her one-week post-surgery that the pathology report revealed the cancer had spread. The author also reported that she would be undergoing eighteen weeks of chemotherapy starting on October 18, along with additional treatments over the next year. She is however faced with difficult task of canceling all of her engagements for the next year. “The hardest thing facing me is the need to clear my schedule. By necessity, I will have to cancel commitments throughout the next year in order to take the cancer treatments.” She wrote on her website. Lotz maintains that she is confident that God, whom she refers to as ‘the Gardener’ knows exactly what He is doing. “I’m more expectant than ever of bearing much eternal fruit. For His glory.” She concluded.